Years in business. Most companies which have stayed in business a long time have managed to keep their customers satisfied. They’ve also gathered a lot of useful experience and competence. Contractor’s License number. California electricians must have a “C10” (Electrical Contractor) license. Liability Insurance and Workers Comp Insurance. It’s desirable that the company carry at least $1 million in liability insurance to protect your building should their work create property damage. Workers Comp provides for medical care for the electricians should they be injured on your job. Again, this protects your building from liability. Guarantees. Some companies offer a lifetime guarantee on their work. This wouldn’t generally include the electrical parts that they install – that’s covered by the manufacturer’s guarantee. However, the electrician should give you at least a several-year guarantee on labor. A guarantee up to the life of your building is best. Better Business Bureau (BBB) rating. Ask for the exact company name that you should look up in the BBB and in which city. Sometimes, the BBB will use a slightly different name, possibly the formal legal name of the company. Take notes on all this, particularly the License Number. If you decide to go ahead, you may wish to check some of what the electrician has said. If you decide not to go ahead, no need to proceed any further with this electrician. But save the notes so that you can remind yourself later of which companies you’ve already ruled out. Look and Listen While you’re gathering this information, listen to what is said but also pay attention to how the electrician acts and makes you feel. If you meet with the electrician, keep your eyes open, too. Do you like the electrician? Do you feel comfortable and not under pressure? Does the electrician inspire your trust? Do the electrician and company employees seem to know what they’re doing? Do they seem to operate legally and behave ethically? Are they acting the way that you would want them to act towards you? Do they return phone calls promptly? Are they timely when meeting you for appointments? Do they listen to your questions and concerns and answer them in a way that is forthcoming and that you can understand? Does the electrician dress neatly and have a vehicle and tools that look well-maintained? Check the company’s rating at the Better Business Bureau. Ratings run from A+ to F based on customer complaints made to the Bureau. As a note, an “A” reflects the same level of customer satisfaction as an “A+.” The “A+” is earned by an “A” contractor becoming a paying member of the Better Business Bureau, which supports the Bureau in its work. How did your job go? Was your job done right the first time? If a return visit was needed, was the electrician easy to work with and prompt? Was the electrician within budget and schedule? Would you be happy to continue to use this electrical company? Speak with at least three references. Listen carefully for enthusiasm or lack of enthusiasm about the electrician. A competent electrical company will have given you names that they believe are satisfied customers. Clients, past or present, may not feel comfortable saying anything negative. If they express little enthusiasm or say something negative, take this into consideration when making your decision. Don’t Automatically Choose the Low Bid A bid may be too low. How can that be? An electrician may intentionally omit items that the job requires, only to come back later saying that additional work needs to be done. On the other hand, some electricians may unintentionally bid low through inexperience. Either way, the electrician may ask for more money to finish the job or may leave you with an incomplete project. Look at the Whole Picture Price is important, but judge the entire picture an electrician is showing you — character, expertise, the ease of working with him or her, and overall value. A large part of an electrician’s value is that he/she gets the job done right and safely without taking too much of your time and inconveniencing you or your tenants. 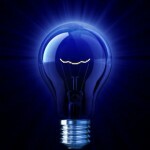 A very competent electrician can save you money by suggesting more efficient ways to do a job or to save on electricity. When you enjoy a good relationship with your electrician, it can make your life easier and your company more profitable. About the Author Kim Hopkins is founder and CEO of The Electric Connection, an electrical contracting company. His company provides electrical installations and repairs for apartment managers and other investment property managers in Los Angeles County. The Electric Connection is a 25-person company that has served Los Angeles since 1979. Kim is happy to answer any electrical questions that you may have. He can be reached at (818) 446-0888 or through his website The Electric Connection.